Why doesn’t my insurance pay my entire dental bill? Dental insurance has made it possible for millions of Canadians to enjoy more healthy mouths over the past several decades. It has benefited patients, dentists, and insurance companies. Since you probably have dental insurance at work, it is a good idea to understand a little of how it works. Dental insurance is actually a prepayment plan rather than traditional insurance. Think of it this way, when you pay for fire insurance on your house, you know there is a very small chance you will ever have to make a claim. In contrast, when you pay for dental insurance, you are quite sure you will be using it. People in the insurance business call this a high utilization rate. The fire insurance on your house has a low utilization rate. Because nearly everyone uses his or her dental insurance, the rates are pretty high when compared to the benefits you actually get. However, insurance far reduces or even eliminates a large bill when treatment is needed. As well, even though the amount the employer pays for your dental insurance is income, the government does not tax it as income. Dentists in Ontario are allowed to set their own fees depending usually on time and complexity of the case, but also on many other factors. We have a fee guide that is compiled by the Ontario Dental Association. We are told by our leaders in the ODA that over 60% of dentists in Ontario charge more than the fee guide—and they are allowed by law to do that if they decide they want to do it. In this part of the province, we are fortunate that all of the dentists routinely do not charge more than the current ODA fee guide. On average, ODA fees are more that 35% less than average fees across the USA, and fees in Western Europe are sharply higher than fees in Canada and in the USA. This substantially lower fee structure allows more people here in Ontario to have access to dental care. Our insurance companies have aided in this fairly wide access to routine dental care by reducing the out of pocket costs for treatment at the time treatment is done. Insurance for your dental care in some ways is similar to insurance for your car. For instance, for your car you can buy just the PL and PD, or you can spice it up with glass coverage and collision coverage. 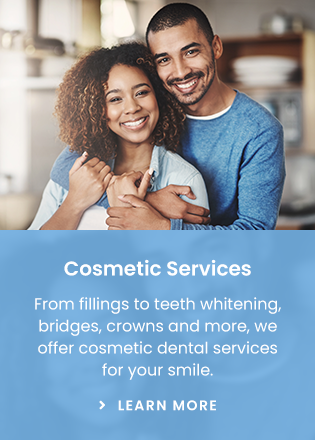 Similarly, dental insurance can cover only very basic care like fillings and cleanings, or it can cover additional items like crowns, dentures, and orthodontics. Your amount of coverage depends on how much the company you work for is willing to pay and what management (and maybe your union) has decided is appropriate. This is where insurance for your dental care is often not like insurance for your car, you usually do not get to individually decide what is covered and at what level. However, in some countries, individuals who have group coverage do get to decide what is covered for their own family and pay the difference above what the employer has decided is the basic level of coverage. Parts of this kind of choice in coverage have come to this country and even to some companies in this area, and I am sure more choice is on the way. Most dental insurance plans have a yearly maximum. This amount can vary so if you are going to get expensive work done, it is wise to get a predetermination before the work is started so you can decide which treatment options are the best for your situation. The staff at your dental office will surely help you to get this information from your insurance company. There is probably also a co-payment or deductible with your insurance. The dentist is strictly not allowed by the insurance companies to waive this co-payment or deductible. To do so is clearly labeled fraud by the law. These co-payments and deductibles allow the insurance company to predict how much usage the plan they sold to your company will get before they sell the plan to your employer. When dentists waive the co-payment, usage on the plan is increased. This is why a no co-payment plan costs more than a dental plan with a co-payment. Some dental plans pay a percentage of the fees listed on a fee guide other than the current fee guide. In essence, this increases your co-payment. If you are uncomfortable about dental fees, you should ask your dentist some questions. Dentists have been highly trained in technical dental skills, but often are uncomfortable with some of the financial aspects of their practice. However, should you have questions, your dentist will be glad to discuss this subject with you. Appointments that fit your schedule. We understand you're busy. That's why we offer hours to fit your busy schedule. We're even open 'til 8pm on Thursdays! Book your appointment today.